I find the idea that "Luther was worse therefore we're OK" to be an argument of desperation. Do any of you really think this sort of blatant hardship actually enforced on an entire group of people is acceptable in comparison to a treatise from Luther that none of Luther's supporters took seriously? If yes, well... that's sad. 1. Those who argue that Luther’s work is somehow nullified because of his anti-Jewish writings are putting forth an impossible standard- it is to say that one must live a life of perfection in order for their work to have validity. Many examples can be drawn from the Scriptures to prove that God uses sinful people to proclaim his truth. I would have never imagined that Peter, who walked daily with the Lord Jesus Christ, would muddle the Gospel and face correction by Paul (Galatians 2:11-21), (and also he denied Christ before the crucifixion). Solomon “offered sacrifices and burned incense on the high places” (1 Kings 3:3) to appease the multiple “foreign women” he married (1 Kings 11). The most striking example is King David, whose legacy includes adultery and conspiracy to murder. Yet God used these men despite heinous sin. We could go through a number of people in the Old Testament as well. 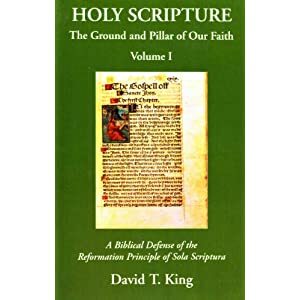 As I would stand against Peter’s denial, Solomon’s idolatry, David’s adultery and conspiracy to murder, so I would stand against Luther’s anti-Jewish writings. That a holy God chooses to use sinful men to accomplish his will is an example of his mysterious divine providence: all things work together for His glory. 2. Certainly Luther's comments about the Jews were terrible, but they are not the deciding factor in his theology. Good Catholic scholarship typically interacts with Luther's theology rather than attacking Luther the person, because the story of Luther's negativity towards the Jews is really to tell the story of medieval Christianity and medieval society's negativity towards the Jews. “In 1553 all copies of the Talmud found in Rome were burned in public. Pope Paul IV (1555-1559) ordered measures to be taken against the Jews, and twenty-four men and one woman were burned at the stake. On July 12, 1555, he issued a bull that renewed all the oppressive medieval legislation against the Jews, excluding them from professions, limiting their financial and commercial activities, forbidding them to own real estate, and humiliating them by obliging them to wear yellow hats" [Lewis W. Spitz, The Protestant Reformation (New York: Harper and Row Publishers, 1985), 357]. Owen Chadwick likewise documents this: “He forced every Jew to wear a yellow hat and live in a ghetto with only one exit… He caused to be published the first Index of prohibited books… Sixtus of Siena was sent to Cremona, where there was a great Hebrew school (for the destruction of the Talmud was ordered), and reported that he had burnt a store of 12,000 volumes…. Under an Inquisition with extended powers, and a pope ready to suspect everyone, there was almost a reign of terror in the city. ‘Even if my own father were a heretic,’ said the Pope, ‘I would gather the wood to burn him’” [Owen Chadwick, The Reformation (New York: Penguin Books, 1964), 271]. 3. I have friends who argue against Catholicism because of the crusades, pedophilia, a nun hitting someone in grammar school, or any number of sins committed by people who adhere to Catholicism. In my thinking, this is one of the worst ways to argue. In the same way, those Catholics who argue against Protestantism attempting to vilify Luther have no way to consistently argue for their position positively. That is, if the hierarchy of the Catholic church has done something wrong or sinful at any point in her past, then by their standard applied to Luther, the Catholic church is invalid... It works both ways. I've done some reading into Luther's change in attitude, often documented as slowly changing in 1536-1537. While there were reasons for his change in attitude, I don't think they were good enough reasons for his change in attitude. Even though I'm not a Lutheran, I think this is the actual paradigm Lutheranism has followed. From my perspective, I use the same paradigm for church history, be it Chrysostom, Origen, Augustine, etc. I realize that the voices from the past often have sins and faults. The cliche is tochew the meat and spit out the bones. That's what I do with Luther- that's why I can read him, even while not being a Lutheran, and I can appreciate him. A good number of Catholic scholars do this as well: Lortz, Wicks, McSorley, Congar, Tavard, etc. I use the same paradigm for those directly in my own tradition- Calvin, Jonathan Edwards, etc. I recently had a discussion with someone from my church about the dangers of Christians who have less-conservative views on creation- she was arguing they should be avoided completely- I pointed out that this would include one of the best Reformed theologians of all time- B.B. Warfield. That's not my experience at all guy. Many people that I have met who have left Rome to have a personal relationship with Christ are cheerful and have a great sympathy for loved ones who are still inside Roman Catholicism. On the flip side, when talking to Roman Catholics who use to be Protestant, they seem to have little to no patience discussing topics relating to the differences that we have. Look at Dave Armstrong. In another post here he mentioned that he comes here for a good laugh every now and then. How is that showing a lot of love and gratitude for Protestants/Evangelicals? I've talked to a Roman Catholic priest who use to be a Protestant. He was loving and full of gratitude. He was zealous and bitter and wouldn't interact with me at all when I would ask him about the Bible. All he kept saying was, "son!" "come on now!" "I'm not going to interprit Scripture for you". Yet he was fine with telling me what his interpretation of Roman Catholicism is (which was different from other RC priests that I've talked to). So to claim that converts to Roman Catholicism are great, but converts to Evangelicalism are terrible is just wrong. I'm not sure if you think this way because you have no objectivism or if you are intentionally trying to be deceitful. Whatever you are doing guy, you aren't helping your team with these emotional arguments. If you bring proof to the table, that's good. We can all look at that and see it for ourselves. If you don't bring proof, you shouldn't be surprised and offended by criticism, especially from this blog. It afterall is a blog devoted to what the Bible has to say about Christ, and this blog openly opposing anything that goes against the Bible. "He was loving and full of gratitude." I meant to say that he "wasn't" full of gratitude. guy fawkes said...John, Is James a bitter anti-Catholic? I don't think I'm bitter, or "anti-Catholic," but I am certainly "anti-Guy- off-topic-comments." Your consistent inability to avoid the actual topic is amazing. Guy - James is not only secretly a bitter anti-Catholic, but he's also an alien from the planet Gronk; his name -- James Swan -- is simply a secret identity (heck, couldn't he have at least been more original?) -- and he's here to confiscate all the lemons of the earth and take them back to Gronk. Talk about bitter! Gronkians are the most bitter, scurvey-infested race in the galaxy. And I'll let you in on a secret -- the tip-off was that Gronkians ALWAYS cite the Catholic Encyclopedia against their Roman Catholic opponents. It's the dirtiest trick in the book, and it really throws them off the scent, but the Gronkians have perfected it. You'll do well to stay away -- they may be coming for you. Guy, I don't do a lot of blogging like you do. I'm busy with life, family, work, etc so I'm not able to keep up as much as I would like. But to me it sounds like you want someone who use to be a Roman Catholic turned Protestant to say that the Roman Catholic Church is great. Why would anyone do that? To change religions is a major life decision and if you're going to do so I don't see any need for someone to compliment their former religion. I'm not saying that there aren't nice Roman Catholics out there, and some of them use to be Protestant too. But my point is that since I am a devout Evangelical with a firm understanding of theological topics, then yes, there will be Roman Catholics who get mad at me. And I believe that the vice versa is true too. I don't care if a Roman Catholic gets mad at me, but if we are having a discussion about it and they can't stay on topic then it gets very difficult to have patience with them. That said, I like James' blog but I think that you're mistaken. For years now James has been very focused on what topics he talks about. MANY of his topics are about Martin Luther, and to me that's interesting, but I like it when he posts something different too. I believe that if you want an engaging blog, it shouldn't be as focused as you demand. Start your own blog if this one isn't satisfying you (assuming you haven't). Who are you to dictate what James SHOULD blog about? guy fawkes said...James,You keep accusing me of being off topic. Have you scrolled thru your blog lately? Just what is your topic? Jews, Augustine, me, Mary, Luther, etc.etc.You hop around like a rabbit from subject to subject, never staying on one long enough to engage the bloggers. My primary interests are the polemics surrounding the Reformation. Of secondary interest is the blueprint for anarchy put forth by Rome and her defenders. "Is James a bitter anti-Catholic? You,Tim Kauffman, Mike Gendron, Richard Bennett,Rob Zins, etc. all seem bitter. Compare you guys with Scott Hahn, Tim Staples, Jimmy Akin, Marcus Grodi, Steve woods, etc.Catholic converts from Protestantism have love and gratitude for their former denominations and the parents and family member still there. Lapsed Catholics turned Protestants seethe with hate and denounce their family members as lost." This sort of comment is not on topic. You can quibble with other people on a variety of rabbit trails, but my time spent in cyberspace has parameters. I came across this and remembered that either you or some in your camp accused me of not giving sources when I said Luther was nasty. I don't keep a Talmudic record of every statement you utter, so I don't recall this particular rabbit trail of yours. I've written and documented Luther's language on this blog, so I don't need you to reinvent the wheel for me. That being said, your link is to an undergraduate paper that requires payment in order to read it in full (I see no reason to purchase it). Have you read the paper in full? It appears to me from the snippet that's available online, the author is arguing a positive case for Luther's use of scatalogical language, while you appear to be inferring a negative case. That to me demonstrates yet again, a low-level reading aptitude on your part.